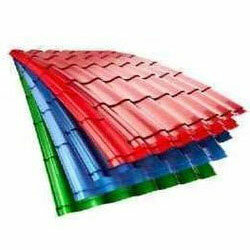 We are providing Galvalume Profile Sheets, which are especially designed for specific roofing and siding purposes. We find their usage in wooden panels, gutters, pipe, computer cases, outdoor cabinetry, furniture and many others. These are made using 55% Al-Zn coated sheet steel that provides robustness in design and resistance against corrosion.